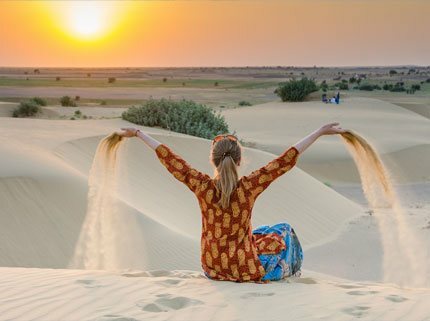 Atulya Rajasthan presents a golden opportunity for the travel enthusiasts to discover unmatchable history & heritage of some of the ultimate destinations of the Ancient Land of Kings with Rajasthan tour packages. The one day Rajasthan heritage tours permit you to explore Rajasthan State Capital-Jaipur, City of Lakes-Udaipur & Golden City-Jaisalmer. The forts, fairs, palaces, temples, royalty, spirituality & nature of these cities will leave you spell-bind with its enthralling beauty. An enthralling journey to Rajasthan forts and palaces is just a click away. 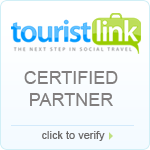 Book a tour to Rajasthan with us by selecting the best Rajasthan tour package for your family. Gear up yourself to fabricate unforgettable memories by indulging in the liveliness & ebullience of this regal state. 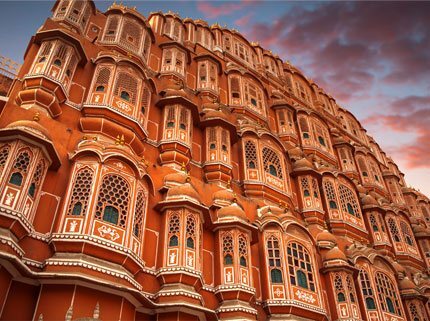 Hear the City of pinks tell a tale of its rich history with Heritage Rajasthan Tours! 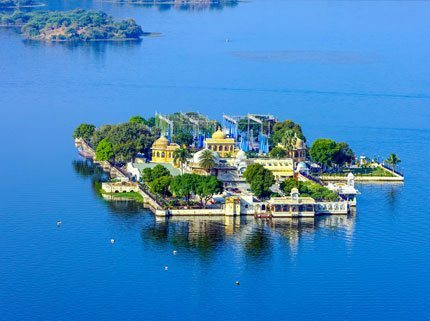 Explore the picturesque Udaipur and its joyful streets with Rajasthan heritage Tours! Live the Valor filled lively life of Locals while walking with Rajasthan Cultural Tours!